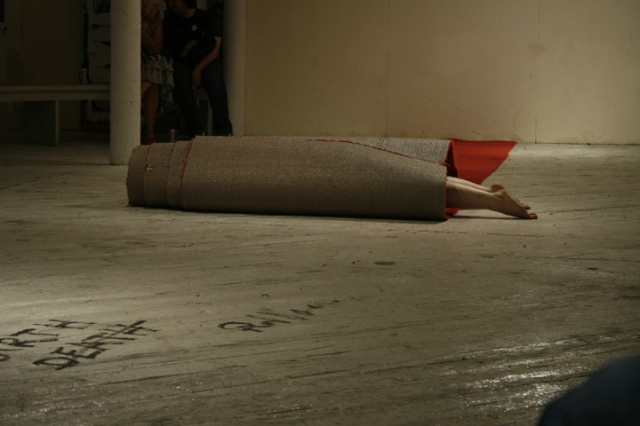 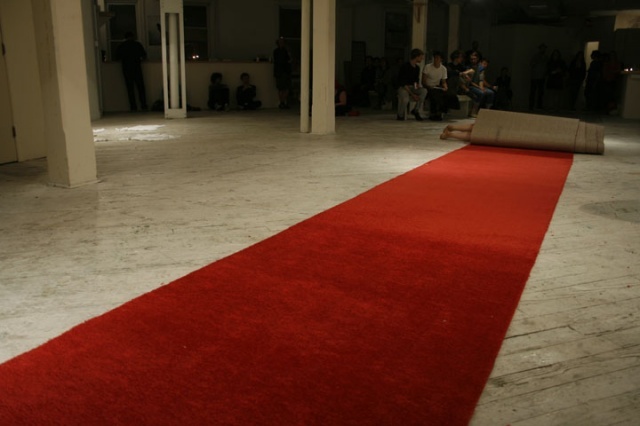 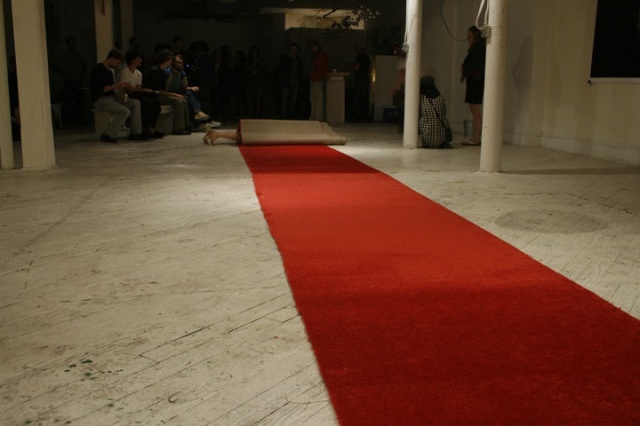 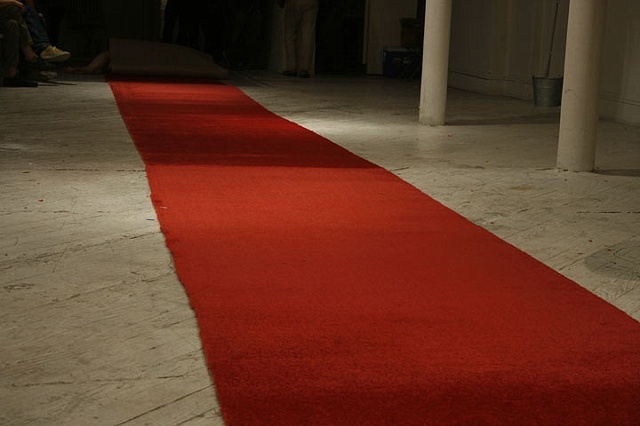 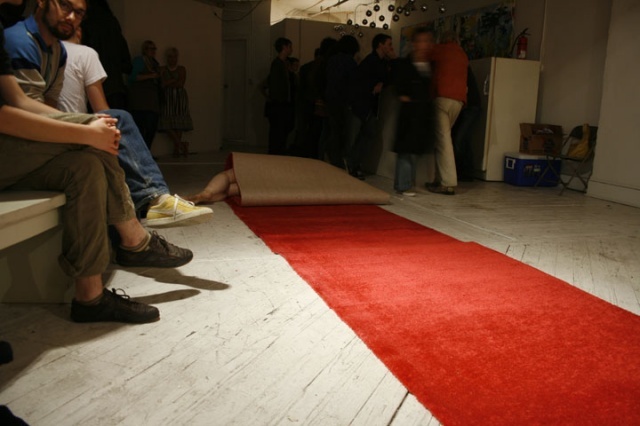 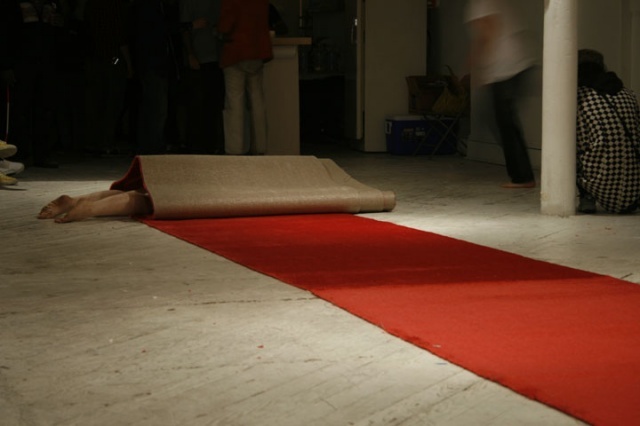 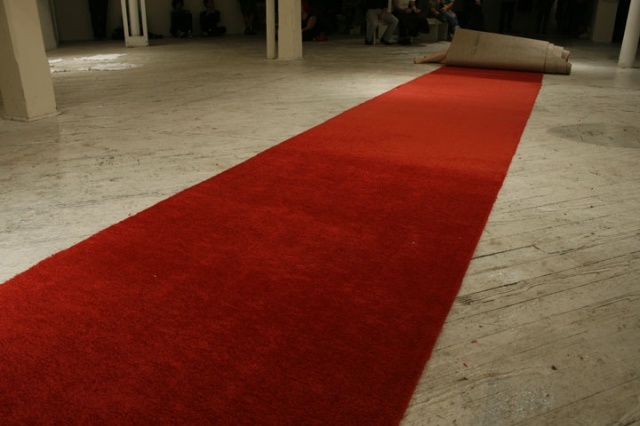 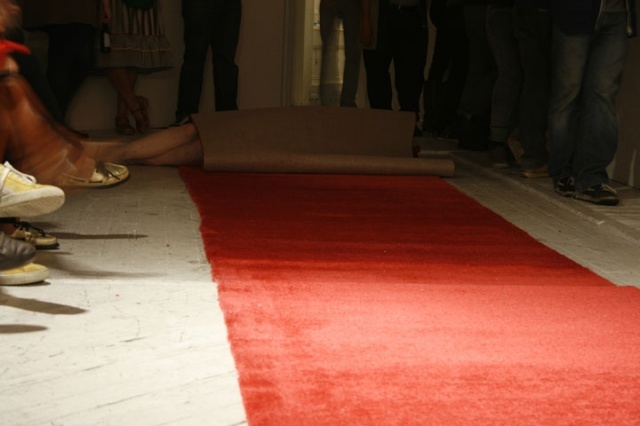 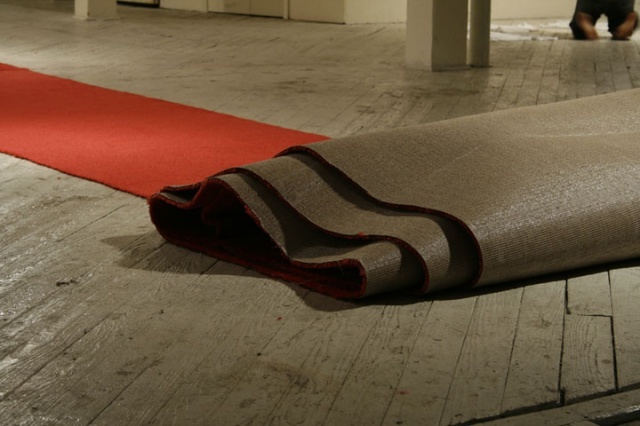 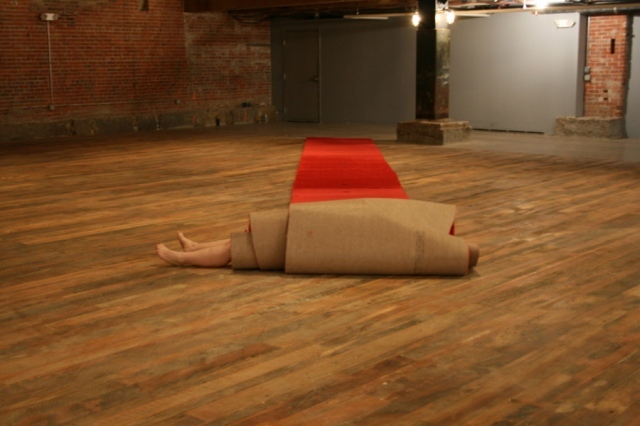 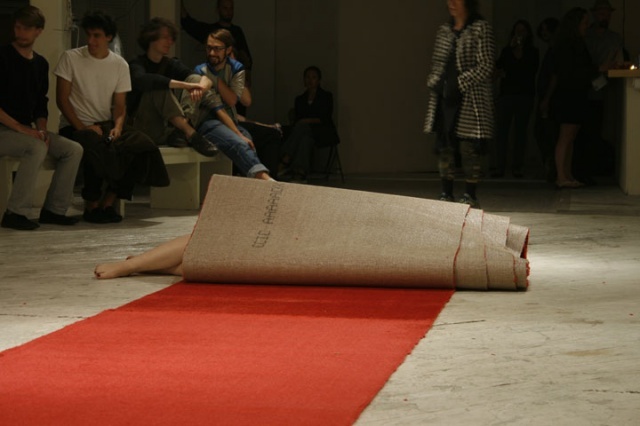 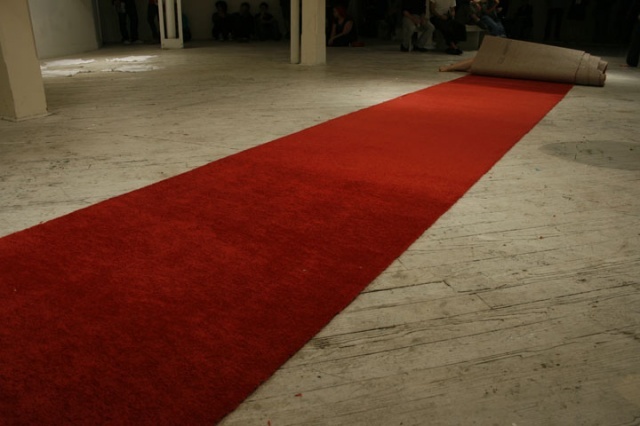 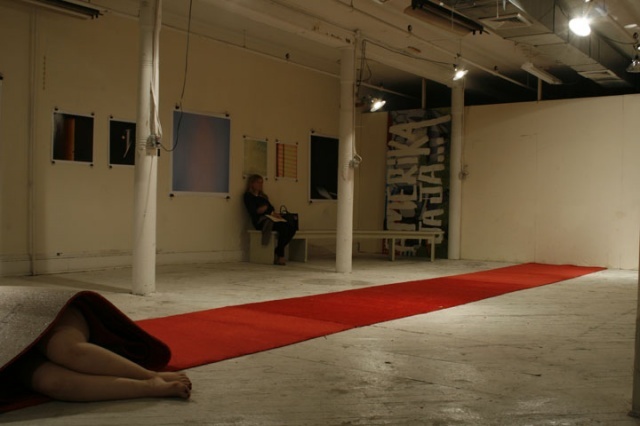 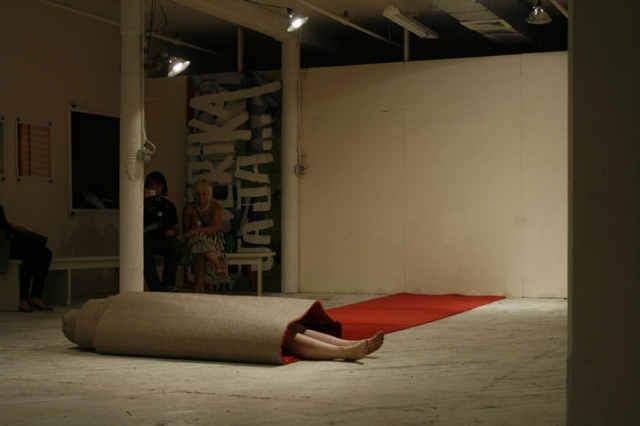 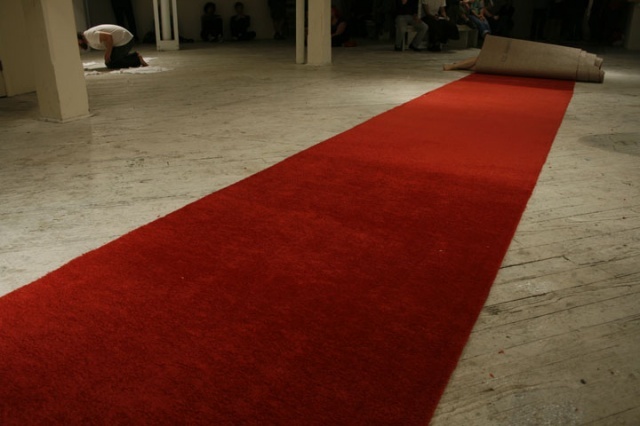 In this action, I use the weight of my body to unroll a red carpet to create a red line across a space. 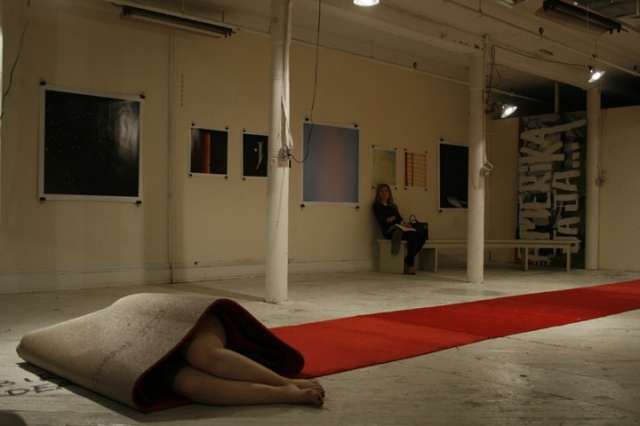 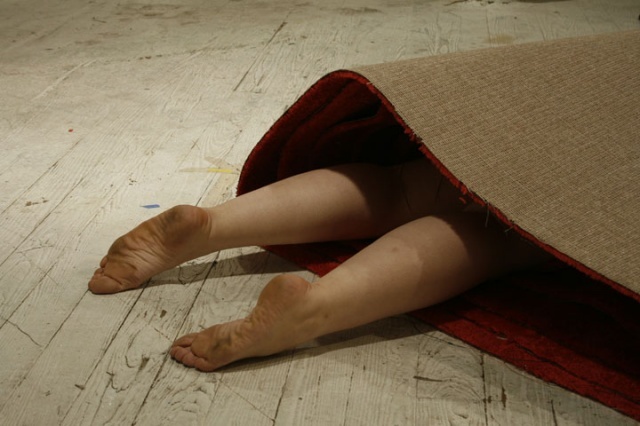 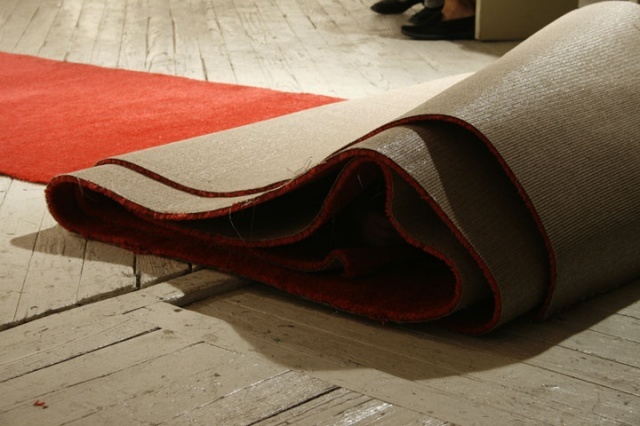 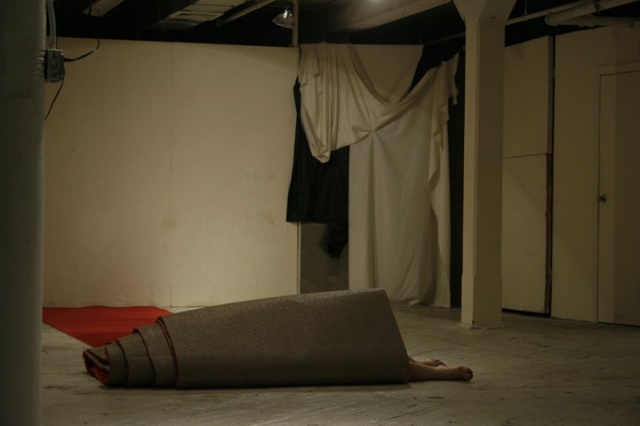 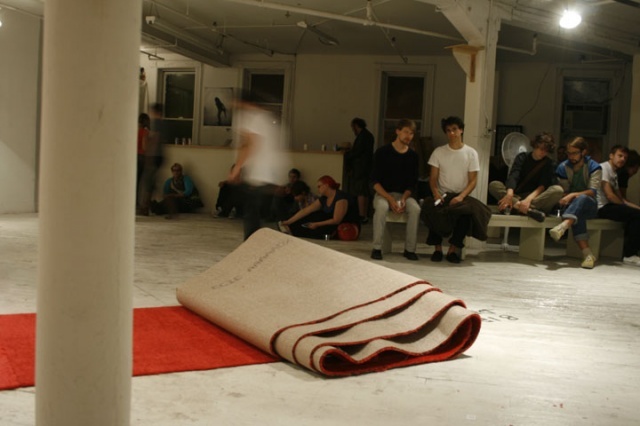 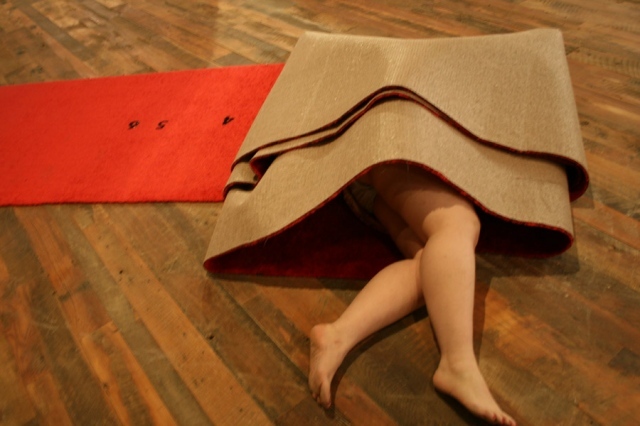 While inside of the carpet, I create sound that amplifies as my body becomes uncovered. 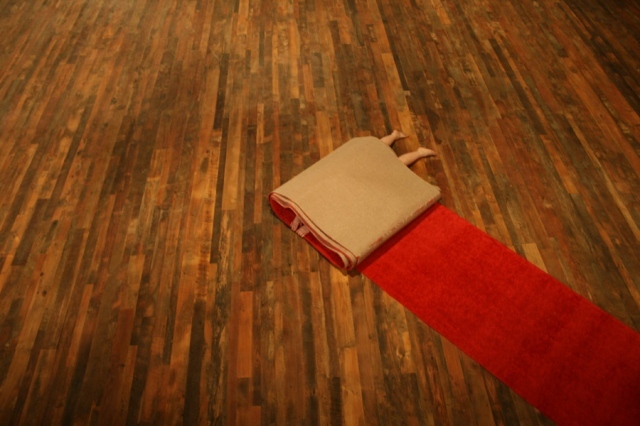 After this action is completed, I cut a square from the carpet and install it somewhere near the space.